Home » Wallets » Bitcoin Ledger Wallet Nano Review – Is It the Best Hardware Wallet? Bitcoin Ledger Wallet Nano Review – Is It the Best Hardware Wallet? What if I lose the Wallet? Will the recovery phrase recover all of the additional cryptocurrencies? What if you forget the Ledger Nano S pin code? Is it possible to verify that no one tampered with my Ledger when buying? Description: A USB bitcoin hardware wallet with smartcard security in a very compact and beautiful package. Summary: The Bitcoin Ledger Wallet Nano is a relatively affordable bitcoin hardware wallet that looks good and has a few clever tricks up its sleeve. 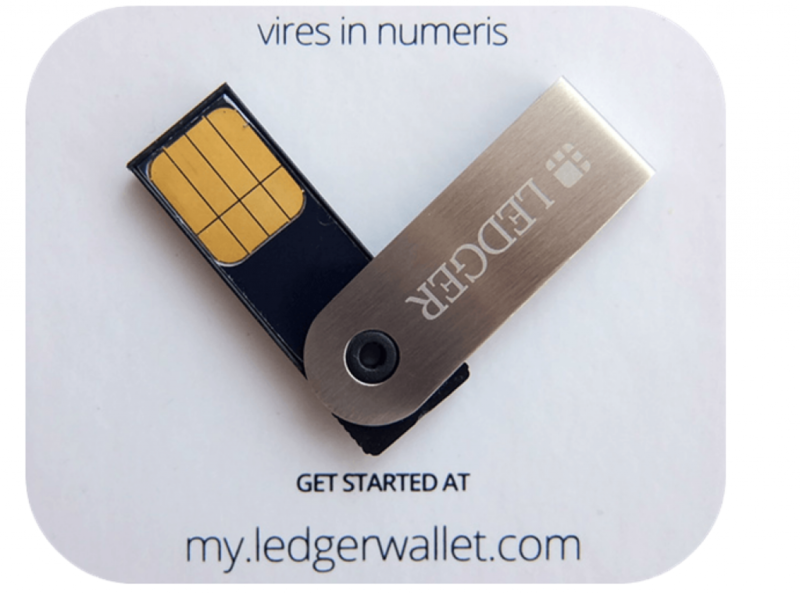 Where to purchase: Directly from Ledger or Overstock.com. It can be bought with bitcoins. The Bitcoin Ledger Wallet Nano is a new hierarchical deterministic multisig hardware wallet for bitcoin users. It aims to eliminate a number of attack vectors through the use of a second security layer. However, this tech-heavy description does not mean much to the average consumer. That’s the reason why I am going to explain it in plain language, describing what makes the Bitcoin Ledger Wallet Nano tick. 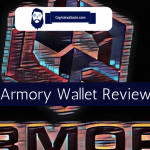 The wallet was launched in early December 2014 and it is the most affordable hardware of its kind on the market. The Ledger Wallet Nano is a compact USB device based on a smartcard. It is incredibly lightweight and weighs only 5.9 grams (0.013 pounds). It is roughly the size of a small flash drive and even thinner than most USB sticks, measuring 39 x 13 x 4 mm (1.53 x 0.51 x 0.16 inches). No micro-USB to USB cords needed and no Bluetooth compatibility, it is just a smartcard that gets inserted into a device’s USB port. Inside the packaging you can also find recovery sheet, a simple manual, and security card in black faux leather pouch. Although some rough edges are visible upon closer examination, I have no major complaints about the build quality. The plastic device features an aluminium swivel cover with a brushed finish, and it is very simplistic, but you will know why when you look at the price. This product might be cheaply priced. However, it was not cheaply made and it is for people who do not have a lot of Bitcoins or other cryptocurrency but just need a secure offline place to store it. The Ledger Nano offers you a great level of security even with its tiny price tag. Your money won’t be lost (as is the case with all of the Ledger wallets) if you end up misplacing your Ledger Nano. You can just purchase a new Ledger wallet and put your money in the new wallet by using the Chrome plugin. Simple! It is also important to note that the Ledger Nano utilizes EAL5+ smartcard technology. This technology is used by many high-level businesses to secure their transactions and other sensitive data. The best part is that all of your data is stored on the smartcard itself, which means that nothing is controlled or owned by another company or even Ledger itself. This wallet is yours. The Ledger Nano Bitcoin wallets are made by a company called Ledger, and the company’s headquarters are in Paris, France. However, they also have an American office in San Francisco, California. Ledger Nano’s familiar, compact and simple design is where its similarities to traditional USB drives end. The Ledger should be more reliable because it does not use cheap NAND memory like the average USB drive. The manufacturer of the EEPROM memory used in the CC EAL5+ compliant smartcard ensures 500,000 read/write cycles and offers a 30-year guarantee on data retention. The smartcard has been an industry standard for decades. It eliminates a number of security problems that may arise on devices based on multipurpose microcontrollers. The wallet relies on the host computer to set up and execute transactions, which means that it is not designed as a standalone device. The host computer is most likely point of failure. That's the reason why the Ledger Wallet Nano S is designed to render vulnerable or even compromised computers safe, by introducing another layer of security. The Ledger Nano wallet signs bitcoin transactions internally. It also aims to prevent man-in-the-middle (MITM) attacks by employing a security card. The wallet would be exposed to MITM attacks without this added security layer, because a hacker could, in theory, gain control of the computer and proceed to compromise the wallet. By providing physical two-factor authentication, the security card makes such an attack less likely. The Ledger Nano wallet is designed for use on desktop operating systems on Google’s Chrome browser, and as the test bed, I used an Asus Windows 8.1 tablet with a keyboard dock. The installation process is relatively straightforward. However, it requires the use of a Google Chrome app. The user only needs to plug in the Bitcoin Ledger Wallet Nano into a USB port and head over to my.ledgerwallet.com to automatically install the Chrome application. The application connects to Ledger’s API server to access the blockchain, and also allows you to send and receive bitcoin using the wallet. It is important to note that Chrome is not the only browser on the market and millions of users still rely on Internet Explorer, Safari, and Firefox. A platform-agnostic approach would have been preferable. However, it is simply not feasible for a number of reasons, including security certificates. To allow access to the device, Linux users also need to create a set of udev rules. The Ledger Nano S is a far superior device than its predecessors because it features an OLED screen, which is extremely useful, as you will soon find out. So you’ve got your Ledger Nano S hardware wallet. Congratulations! First, plug your Ledger Nano S with the USB cable on a computer. You will be welcomed by Ledger and asked to press both buttons at the same time to get started (the device only has 2 buttons). A new message will show, after you press on ‘configure as new device’, prompting you to ‘Choose a PIN code’. You are choosing numbers for your desired PIN at the PIN selection menu. Press the left button if you want to decrease the current number and the right button if you want to increase it. If you want to confirm a number at each stage, press both buttons at the same time to move to the next number. On the other hand, if you for any reasons are not satisfied with an already confirmed number and you want to delete it, scroll through until the little icon for X (delete current number) appears, moving you back one spot. When you enter 4 numbers, a checkmark icon will appear letting you know that a 4 number PIN is OK. Once you are OK with selection, press both buttons at the same time to confirm. If you want to have more than a 4 number PIN (you can choose up to an 8 numbered PIN), press the right or left button to choose your 5th PIN number. It’s extremely important to choose a PIN number you will remember. You lose access to your Ledger if you forget it or input it wrong 3 times in a row. This means that you will need to configure it again from the passphrase, which will be one of the next steps. Click both buttons at the check icon once you are OK with your PIN. This will move you onto the ‘Confirm your PIN code’ window. Press both buttons at the same time and enter the PIN that you chose in the previous step in order to confirm you really wrote the one you want to have. You have successfully confirmed your PIN. Now, it’s time for the most important step — ‘Writing down your recovery phrase’. Press both buttons at the same time to get started. When buying a Ledger Nano S hardware wallet, you will get a little paper where your 24 words passphrase can be written down. You can use that or write them on your own piece of a paper. However, it is not recommended writing them down on a computer. You will be presented with word #1 when you start. Write the word down exactly as shown and write them in the same order as shown (word order matters so write it down exactly as shown starting with #1 through #24). Press the right button to move to the next word, press the left button to return to the previous word. Once all the 24 words have been written, you will confirm by pressing both buttons at the same time. Now Nano S will ask you to select random words from your passphrase – use left and right buttons to move in this list, press both buttons at the same time in order to confirm it. You will need to begin ‘Confirm your recovery phrase’ section again if you select wrong word. This message will show if you select the wrong word from the list – ‘Recovery words do not match’. If you see this message, you will need to start over (pressing both buttons at the same time) from step 4. ‘Confirm your recovery phrase’. Once you have completed the confirmation step — this is it, you will see ‘Your device is now ready’. Your Ledger Nano S is configured, so you just have to install the Ledger Apps on your computer to use your wallet. Press both buttons at the same time to move into the Ledger main menu. P.S. : Once in the main menu, you are confirming by pressing both buttons at the same time, and moving through it with left and right buttons, just like with all other interactions. Play a bit with your Ledger Nano S and get the hang of it. You’ll need to enter your PIN code that you chose in step one of this course if you unplug the Ledger and plug it in again. This is how you will access your Ledger from now on. There is no need to enter the 24 word passphrase, only enter your PIN. Your 24 word passphrase is secured safely in your Ledger Nano S device itself. It’s extremely important to keep your “Recovery sheet” in a safe place in case your Nano S gets broken, lost, stolen or you input your PIN number wrong 3 times and need to reset it! To open that same Ledger wallet, you’ll need to input those 24 words again. The screen has a bright hue about it, brighter than Trezor, which makes for great user experience. Useful tip: If at any stage of configuration you feel like you did something wrong or are not sure — unplug Ledger and start over. Remote Ledger server via chrome extension would warn if signing fails -> tampered with. you then choose a user application on nano say “Bitcoin wallet” and secure element checks to see if this has been tampered with when loading, giving error on device if it does not match previous signed code. Ledger Nano S allows PIN or passphrase to be entered on device directly via a 2-button interface. This is not quick or overly easy, but in my eyes more secure. One button increases a digit, the other one decreases it, both pressed at once confirm a digit for PIN entry. With the latest firmware the starting point of the first 4 digits can be set to random, so observing your sequence of keypresses will not reveal your PIN. Sadly this is not possible for any digits beyond #4 your might use, and also not for BIP39 passphrase entry. The BIP39 passphrase is also entered on the device directly, which gives me way less worries, even considering the non-random starting points for the 2-button interface. You also have the option to “save” a passphrase to another/different PIN, but this would once again weaken your security. If you enter the passphrase every time even some advanced attacker can’t extract your keys from the device – it’s just not on them, no matter what. To manage your Bitcoins, you must launch the Ledger Wallet Bitcoin Chrome application. 9/ Your transaction is validated and will be tracked on the Blockchain as soon as it is confirmed by miners in accordance with Bitcoin protocol. While waiting for this confirmation, your Ledger device can be disconnected as your transactions are tracked on the Blockchain. These transactions will be synchronized on your wallet when you open it. The wallet features very compact and sleek design and can fit on any keychain. However, don’t forget the security card. Usage/option of BIP39 passphrase(s) is very important for me, as it provides any amount of different wallets depending on the passphrase entered, thus providing as many levels of plausible deniability as you wish. Great Value for money. The Bitcoin Ledger Wallet Nano costs €59.90 and it is rather cheap as far as hardware wallets go. The device can’t be used on mobile devices. Support is currently limited to Chrome browser. The security card approach has its own good things and bad things. It allows designers to create a truly pocketable device and helps keep the cost down. The passphrase is your backup of the hardware device. If you lose the hardware device, you restore the seed on another hardware device, and ideally have a third hardware device with a new seed to which you then transfer over all the coins from the second device. A. Yes. A single recovery phrase supports all crypto assets. You can restore any altcoin (that you are using on your Ledger device) using the same recovery phrase. A. You can reset your Ledger Nano S to the factory settings by entering the wrong pin 3 times in a row. You will then need to restore your wallet using the 24-word backup key. Make sure you use the wallets from the Ledger website. If the device works with them, then you shouldn’t have any problems in the future unless it gets physically damaged or lost. And in that case, the recovery words you write down (don’t save them on anything other than paper) can recover your wallet on any other Nano S device. If it’s a fake device, the Ledger chrome app wallet will tell you it isn’t genuine and won’t work. The newcomer KeepKey may end up being a force to be reckoned with in the market in the coming future. However, it is too expensive to compete with the Ledger Nano. The Trezor wallet is also a great alternative. It features a screen so that you can verify the intended bitcoin address before signing the transaction. However, it costs $119. Here is a detailed comparison of Ledger Nano vs Trezor. Also Ledger Nano S vs KeepKey. And here is a full list of coins supported by Ledger Nano S.
As we all know, there is no such thing as absolute security. However, the goal of hardware wallets is to make any potential attack more difficult and resource-intensive. Ledger Wallet Nano is no exception. This device is designed to render attacks impractical by raising the bar, and it is a great solution for users who desire a simple yet secure way to store bitcoin. At €59.90, the Bitcoin Ledger Wallet Nano is great value for money. This means it will appeal to enthusiasts who want to hold bitcoin but don’t want to spend too much money on security. It’s not an expensive, specialised piece of hardware for the select few. This device is geared toward the everyday bitcoin user, because the setup and use of the Ledger Wallet is simple and easy to follow, even for those new to bitcoin. With such a low price for the amazing value that you get, it would be hard for the KeepKey and even the Trezor to compete. It is small, easy to carry and can fit on a keychain and the security card in practically any physical wallet, which makes the Ledger very practical. If you lose either component, you can use your mnemonic seed to recover your wallet. I strongly advise that you should take look at the Nano S if you do not have a lot of Bitcoin or other cryptocurrency. Play a bit with the Ledger and get the hang of it, if you unplug it and plug it in again you’ll need to enter your PIN code that you chose in step one of this course. This is how you will access your Ledger from now on, there is no need to enter the 24 word passphrase, only enter your PIN. Your 24 word passphrase is safely secured in the Ledger device itself. The Ledger Wallet’s Paris-based team says that many improvements are in the works, including a Smartphone application instead of the security card, to confirm the destination address, as well as features for use of multiple accounts. 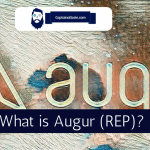 Augur (REP) Review - Dominating Decentralized Prediction Platforms? There’s tutorials on YouTube using it with mycelium wallet on Android if I’m not mistaken but finding the right USB per device could get interesting thanks for the review.